Bedbug removal services for homeowners and tenants in London, Southampton, Bristol, Reading and Bournemouth. Bedbugs infestations are rising rapidly, reaching epidemic levels in some American cities. 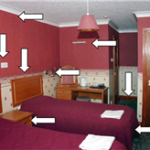 The UK also has a major problem – current hotspots for Bedbugs include Bournemouth, Brighton, London and Bristol, and it is every householders nightmare to find these insects in their home. Bedbugs are not to be confused with microscopic bed mites. 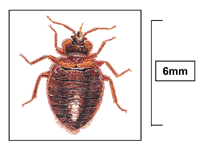 Bedbugs are large insects, full grown they are the size of a small ladybird. These insects are blood feeding parasites that hide in the bedroom in gaps and cracks in furniture, skirting boards, behind headboards and pictures. These insects are active at night and feed on human blood. Large numbers can develop if left untreated. Reactions to bites vary dramatically from minor irritation to serious allergic responses. The good news is that bedbugs are not known to transmit diseases. The presence of Bedbugs also causes great anxiety and distress. To give them their scientific name they are Cimex lectularius which literally means bug of the bed. They are fairly large insects and are not microscopic as is sometimes believed. Bedbugs can reproduce in very short periods of time with females producing up to 500 eggs in less than 3 weeks in perfect conditions. Bedbugs have become resistance to some insecticides and as they can survive for up to 18 months without food it means you need a qualified professional to resolve your infestation. Many companies advertise that they are specialists, but in reality, are newly started businesses exploiting the recent increase. Operating to the highest standards and working with leading experts in the bedbug control such as Clive Boase, we can assure you that you will receive a professional service and a swift resolution. Rokill are full members of the British Pest Control Association and we are approved under numerous health and safety assessment schemes. 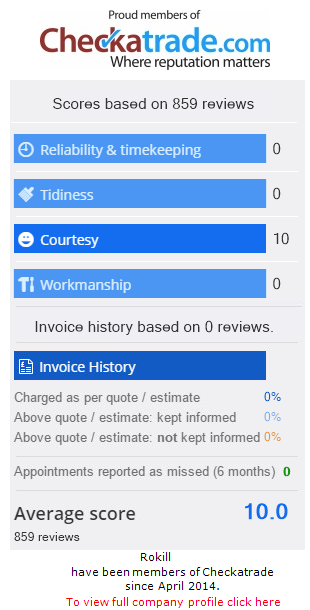 Our commitment to the highest professional standards should give you peace of mind that we take your safety and satisfaction as our highest priority. We offer a 6 month guarantee on our bedbug removal services as we are confident in our treatment methods and procedures. 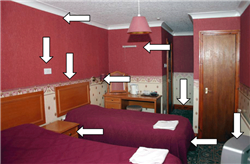 Following an initial inspection buy one of our experienced bedbug controllers we will provide a cost effective answer to the problem and upon acceptable will also give you detailed guidance on how to reduce the risk of future reinfestation. Our processes have been created through years of experience and collaboration with leading experts in bedbug control. Using a range of the most effective insecticides alongside products which make cracks and crevices used by these pests inhospitable we can ensure that infestations are quickly resolved. Reddish brown in colour and are flattened which allows them to crawl into gaps and cracks to hide. They have 6 legs and they cannot fly. A bedbugs lifecycle begins with an egg, and a bedbug nymph then hatches out. Prior to reaching maturity these nymphs pass through 5 stages. The rate these insects spread and mature is dependent on conditions and the availability of food. In perfect conditions they can mature in as little as 3 weeks. Hiding during the day these insects are secretive. All bedbugs feed exclusively on blood meaning a source needs to be nearby. They are most active at night and will feed once every 7 days for about ten to fifteen minutes. During this time a bedbug will typically take in more than it’s own weight in blood. Whilst human blood is their favoured meal they will also feed on domestic pets. A bedbugs mouth is a bit like a hollow needle and the pest administers an anaesthetic as it feeds. You can get bedbugs through a number of means, but most commonly they transfer between locations in luggage, clothing and second hand furniture. By the end of the 20th century bedbugs had declined in domestic properties to their lowest record levels. This was primarily due to the insecticides and improving hygiene standards. By the turn of the century numbers began once again to rise with it now being estimated that around 10% of hotels need to combat them each year. Bedbugs can hide in a variety of nooks and cranny’s around your home, effective treatment always starts with a proper evaluation of where the pests are.